St. George’s, Grenada, 15 April 2019 (IICA). 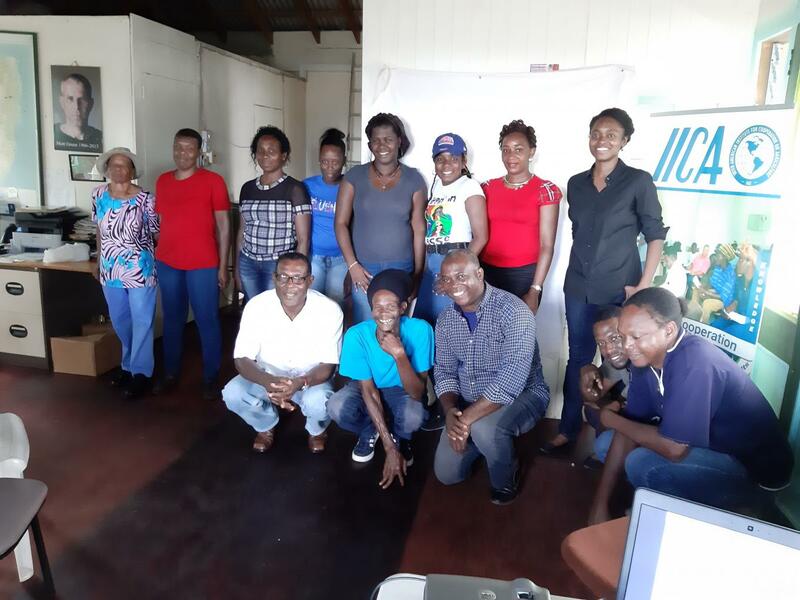 Through a series of workshops offered by IICA, the Grenada Chocolate Company, a small cooperative of cocoa farmers and chocolate producers in this Caribbean country, was able to strengthen its capacity to meet the required sanitary standards for trading its products internationally. Members of the cooperative increased their expertise in areas related to compliance standards, food safety certification, and occupational risks and security. Margarita McDonald, Manager of the factory, acknowledged that, “This is the first time that the staff is participating in an activity of this nature, and we thank IICA for this opportunity to boost our production capacity”. Maintaining that there are still areas that need to be strengthened, Derek Charles, National Specialist at the Grenada Office of the Inter-American Institute for Cooperation on Agriculture (IICA), said that, “The Company should continue to progress in environmental management and in streamlining the method by which farmers cultivate cocoa beans, thus ensuring that production progresses in keeping with environmental and health concerns”. Cocoa and chocolate producers affiliated with the Grenada Chocolate Company cultivate the crop according to organic standards, and utilizing planting, fermentation, and production processes that are aimed at reducing the carbon footprint of the final product - chocolate bars. The cooperative was established to ensure that small farmers were fairly compensated for their work, while also benefiting from the profits of the company. Today they have more than 80 hectares under cultivation, with which they hope to position the country as a fine and flavor cocoa producer. Derek Charles, National Specialist, IICA Grenada.